Jason, what is Farmers Choice? Farmers Choice is an online farmers market, what we do is we take all the produce you can get from farmer’s markets and we deliver them direct to the door. I’ve been here about 20 years and I literally meant to be here for one day! I started work in the butchery and then I worked driving, into the office and then became a director. I worked here for about seven years and then I bought the company five years ago. You said your dad also worked in the business is that how you got into it? Yes, my dad was a butcher at the time so I came to help out for the day, he’s not here anymore, but there’s quite a lot of families involved with the company. My nephew Bobby works here as a programmer, we’ve got a lady downstairs, both her sons and her daughter have worked here, our butchery manager’s son is here as a butcher, our transport manager came here because his dad worked here and so on and so on, there’s lots of connections going on. As well as butchery, what other sort of foods do you supply? We supply anything you can get from the farmer’s market, so that’s fresh fruit and veg, bread, condiments, jams, chutneys, you know, eggs, all the type of things that you normally use on a day-to-day basis will collect up. Can you tell me more about the labelling and the provenance of food? What should people look out for, what accreditation do you have? There’s five general standards, the Red Tractor; RSPCA; Outdoor Reared; free range; and organic. Free range and organic are almost the same thing; the only real difference is the feeds that can be involved. Generally the feed for an organic product may come from the Far East, rather than locally, whereas free range will still have the same outdoor standards, but will be fed on local produce or grown on the same farm, for example. How do you select all the farmers that supply you? We’ve been trading for about 35 years so we’ve got good relationships with local farmers. Then we’ve grown from that by word of mouth, from farmers really, they’re always saying to their friends, “Farmers Choice look after us, they pay us well, pay on time,” it’s a nice way of them having a connection to the customer because they can see the end user, so it’s such a small food chain, it’s literally the farmer, us, and you the customers. Why should someone buy locally sourced food, rather than maybe some of the stuff from the big supermarket chains, what’s the big difference? Well the difference is really if you love to know where your food comes from, understand the provenance of it, try and buy as local as possible, something you’ve got a tangible connection with. 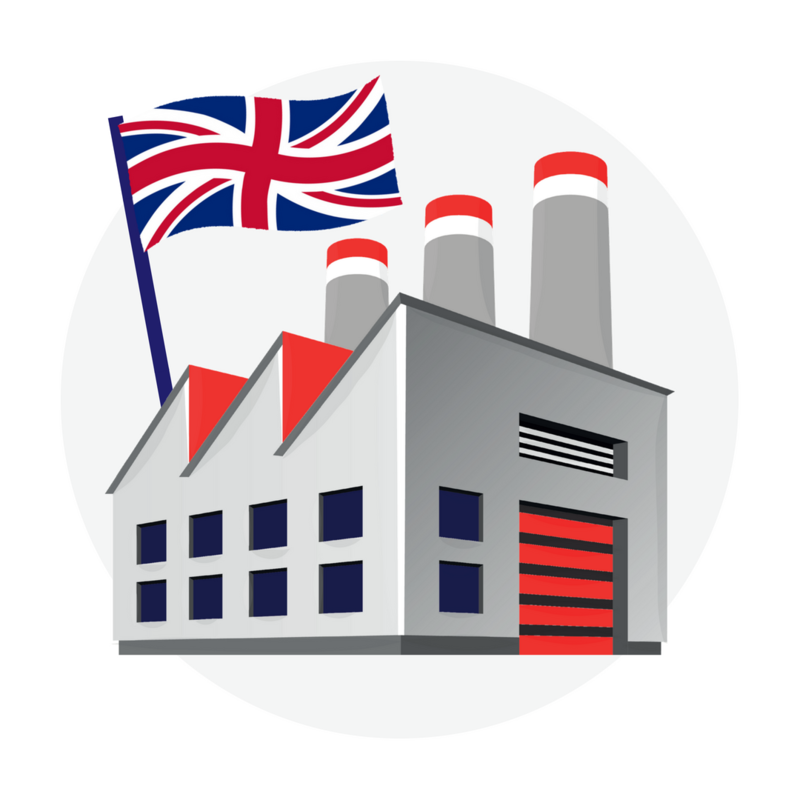 Some of the things the supermarkets do are slightly different, they go all around the world, to label and package and they’re back into the country, just because it’s born in Britain doesn’t mean that the whole process is done here. 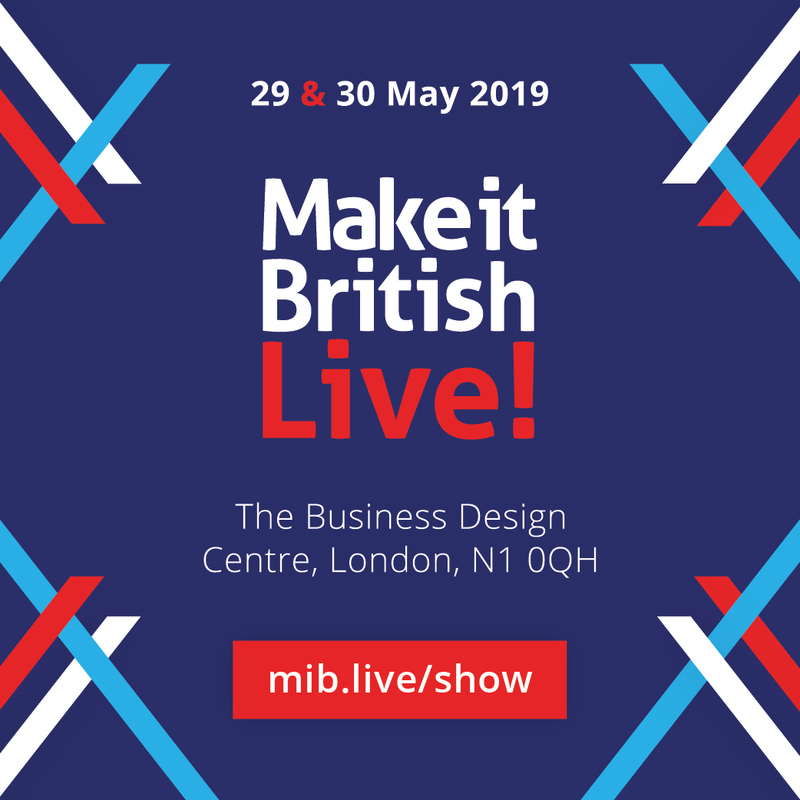 Are you saying that some of the produce, particularly the meat that we buy in supermarkets in the UK may have been reared in the UK and be labelled as British meat but is actually being packaged overseas? Yes, and vice-versa, there’s lots of little loopholes about grazing and how long something has to graze in this country to be considered. Try and buy something that’s got a real provenance, you knew that it grew up on the farm. So how do you tell the customers of what the provenance is of all the food that you supply? We try and reassure them, we’re out there all the time with our farmers, we work directly with them, they know what we need 26 weeks in advance, for example a pig, we don’t just go onto the market and buy a load of bacon. If we do buy a pig we use a whole pig, we don’t just buy the bits we need, we make sure we kill we, we use every little part and so anything that we don’t eat as humans, so the bones, then pigs ears, that type of thing, we produce and we give to dog sanctuaries and things like that so it all gets used so it’s had a real purpose. Do some of the supermarkets waste a lot? Yes. As a country we buy loads and loads of chicken fillets, and then we ship loads of chicken thighs abroad because all we want is the fillet. They’ve engineered breeds to have bigger breasts, smaller thighs and wings over smaller period of time because that’s what the consumer wants. Farmers Choice chickens have got strong legs, they run around, that’s what they should be doing! As a former butcher and someone who works in this industry, what are your favourite cuts of meat, what would you recommend? I personally like some of the lesser steaks, things like hanger steak which is an internal skirt steak, you can flash fry, fry on the barbeque, it can still be rare in the middle so really nice. It’s a bit of a secret, it used to be called the butcher’s steak, some chefs love it, it’s a great all-round steak. So people should be looking out for hanger steak when they go to the butchers? We do thousands of cuts. We do a lot of the old-fashioned cuts because we’re using the whole animal, it’s not all about sirloin and fillet and rump here, we’ve got the whole thing, we use it properly, flanks, offal and so on. People do tend to be quite unadventurous and you’re saying that your most popular cuts are chicken breasts and beef mince, how can we encourage people to use the more untraditional cuts? I think the celebrity chefs are doing a good job at it now, they offer lots of recipes online, so customers have an idea of what to do with things. Just be a little bit more adventurous, don’t just buy rump steak, there’s lots of cuts of steak. You’ve got some fantastic produce here Jason, tell me about what are some of your favourite things, I can see some bottles over there that are catching my eye! This is a great product, it’s a vodka, made on the Isle of Wight with rock salt in it. Generally, our produce comes from the South Downs, Hampshire or the Isle of Wight. We’ve also got a gin here. I selected this because we try and work with people that are working with each other locally, the Conker Gin guys, use New Forest water to produce the gin, so it’s completely local. Also things like the Isle of Wight tomatoes, they’re great, they get sunshine all year around. Is that why the Isle of Wight is renowned for its tomatoes? Yes, and you get the reflection from the sea. We also get apricots, cherries and asparagus from there, sweetcorn’s just coming in from there, so it’s a great little place for fruit and veg. You’ve got a bakery that you work with as well? We’ve got a bakery that makes fresh sour dough every day. We collect it and deliver it out daily, it’s a real natural artisan product. That’s in line with what we do, we get the milk in fresh every day, but there’s lots of other products like the sea salt from Cornwall, we use Hampshire cheeses, the potatoes from the New Forest, and why we do that because it’s local, we wouldn’t buy organic potatoes just because they’re organic and get them in from Spain, we will use the local producer when they’re in season. So, some of the big brand name organic box companies that people know of are they not necessarily supplying local food? That’s correct, it’s the same with the supermarkets, a lot of produce comes in from Spain and so on, to get the organic status. It’s all about organic, whereas we’re more about local, that’s our core I think. Can you give us the biggest reason that people should be buying locally sourced food? If you spend £1 locally, 70p of that £1 stays local. 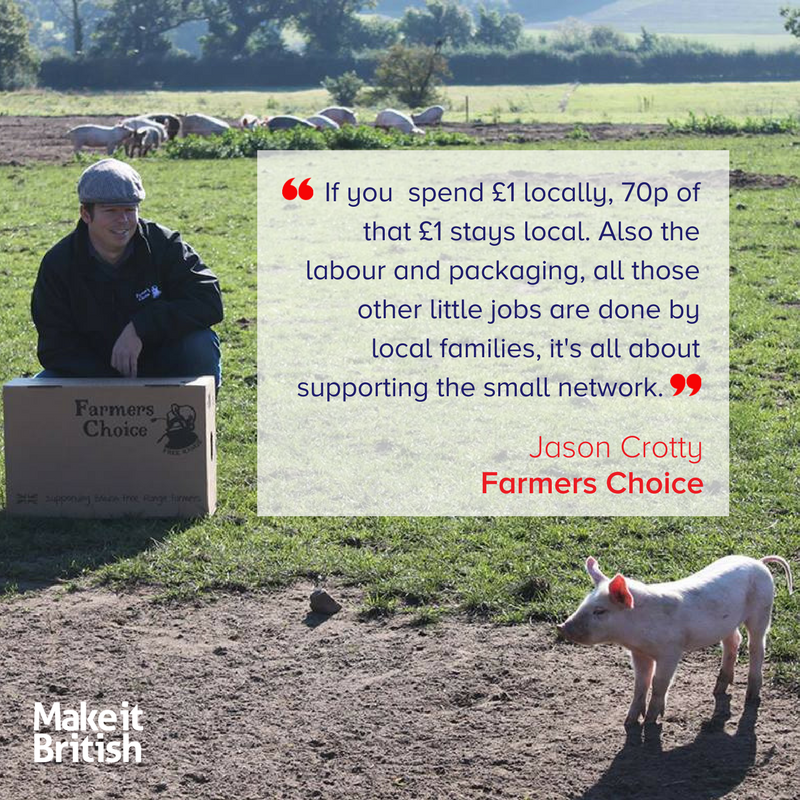 Also the labour and packaging, all those other little jobs are done locally as well by local families and it’s all about supporting the small network. Can you tell us about your packaging because I have noticed you’ve got some quite special boxes? Can you tell me what they are and how you pack them to keep them fresh? That’s called Woolcool, it’s made in Britain, and it’s a product from the wool industry. We put that in our boxes with dry ice and it outperforms polystyrene, it will actually perform for about 48 hours and stay frozen. You can put in the recycling, some people put it in hanging baskets, some people give it to the homeless for blankets, there’s many uses for it. Ady White asks ‘What percentage mark-up do retailers use by buying in farm produce?’, have you any idea how much the supermarkets mark things up by? Probably not, supermarkets are all about margins, which is why they are shipping products abroad, the labour’s cheaper, so they have larger volumes to sell to people. 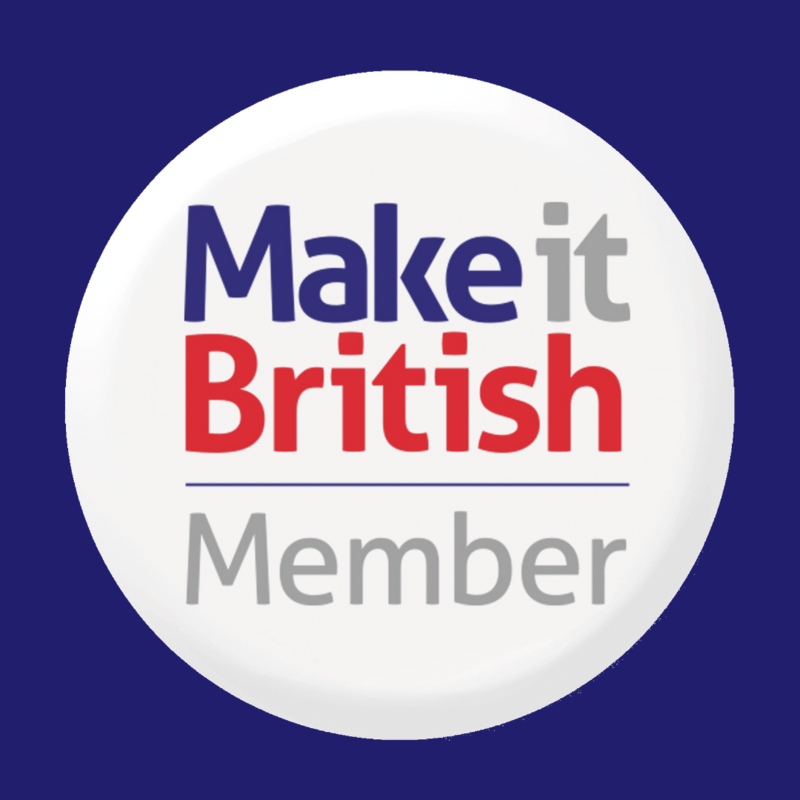 They’re rearing British meat, processing it abroad and labelling it as British? Yes, not just meat, it could be fruit and veg, or the perfect example is mussels that are caught on the South Coast are then shipped to the Far East to be cleaned and packaged and sent back. So your farmers will get a better price from you than they will from the supermarkets? We agree a price that they’re comfortable with right from the off, so he knows his fee price, depending on what type of animal it is and he knows what his costs are and he’ll say to me, “Jay, I’ve got to do it at this price,” and we go, “Okay, it’s making some money,” and then we make sure that we’re making a little bit of money, so and then we pass on the best deal to the customer. We have of overheads like everybody but we try and make the margins so that everybody’s making a nice profit. We also give our returning customers farmers rewards, by buying into the scheme and using us constantly, we give customers some money back. It’s like a thank you from the farmer for supporting us by using us. We start talking turkeys in February, so Christmas for us is almost over as far as that’s concerned. Should I have ordered my turkey from you already, have I missed out? We’ve got our numbers reserved because that’s what we have to do. They have to be bred and it takes from February to hatch them to where they are now, on the line to be sold so we only have the number we have. We encourage our customers to get in sooner rather than later, so they won’t be disappointed. I’ve got another question from Kieran asking is goat making a comeback? I heard you mention earlier about goat farming. We get our goat from Southampton, just down the road. They’re by-products of the dairy industry, but we rear them up and sell them from it. Is goat meat proving more popular? It’s getting more and more popular, it’s a great product actually, it’s very similar to lamb, maybe a bit more like mutton. I like a goat curry! We sell a lot of chopped goat, for that reason, because people like it without the bone and that kind of thing, so we’ve got a great goat source down there. Can people buy goat from you regularly? Regularly, again because we’ve got an agreement with the farmer. What’s the most obscure cut of meat that you sell? We sell some random things, we’ve had lamb’s tongues, sweet breads, if it’s on the animal we can get it. So if it’s not on your website people could still ask for it? Still ask, we’re still an old-fashioned butcher. There’s a lot of regional names for cuts anyway so we may have given it a certain name and then it might be called something else somewhere else. Do you deliver all over the country? We deliver all over the country, so anywhere you like as we use a courier. If it’s local to us then our van goes out, it goes out every day. Where can people find you and buy from you? Well the best place is our website which is www.farmerschoice.co.uk and we’re all over social media. Find out more about Farmers Choice here.